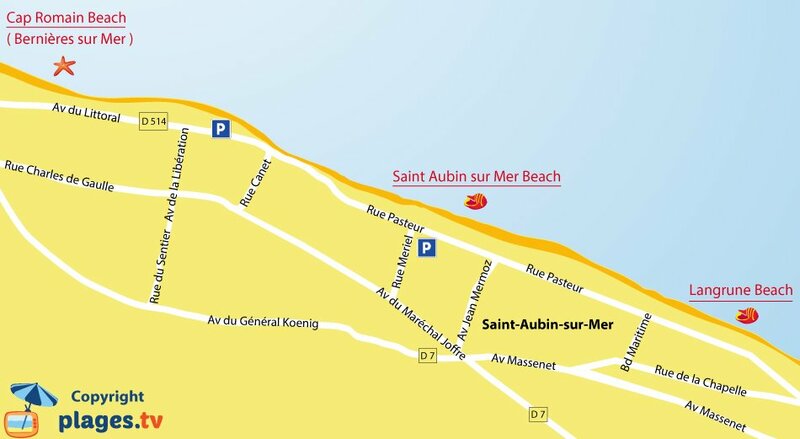 You will find 1 beach in Saint-Aubin-sur-Mer :1 sandy beach. 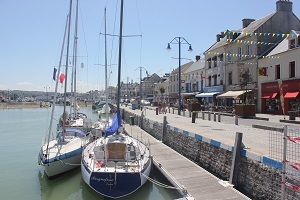 The small seaside resort of Saint-Aubin-sur-Mer, in the Calvados, is a town belonging to the Côte de Nacre and that we nickname here « the queen of iodine ». 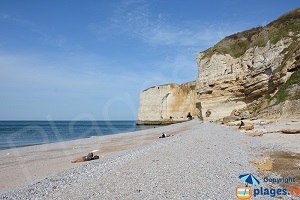 It is less than 20km from Caen and owes his fame to the national nature reserve of the cliff of Cap-Romain, a superb well preserved site which it shares with the neighboring commune of Bernières-sur-Mer. 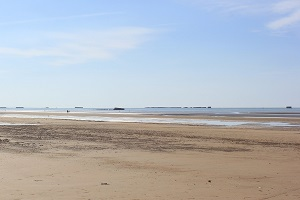 Eight meters high and 500 long, it borders the sandy beach and protects it. 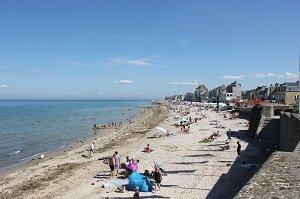 Traces of Gaulish and Gallo-Roman occupation have been discovered, and guided tours show that the Channel was a faw million years ago a tropical sea ! 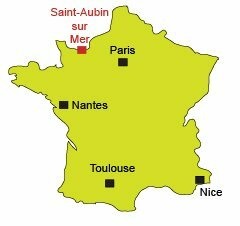 In the alleys of the village, we discover the history of this fishermen’s hamlet where nothing or almost nothing has changed. 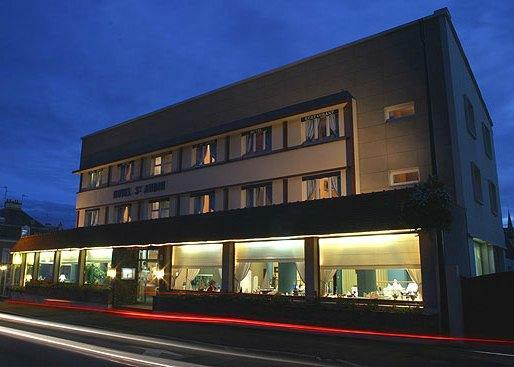 Its vivifing air and the virtues of its baths of sea gave it his nickname of queen and the city remains a popular spa. 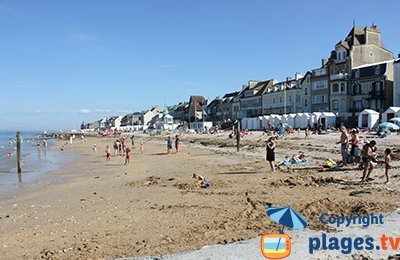 The painter Courbet was seduced by the light of Saint-Aubin and its authentic charm always attracts curious visitors to discover the superb villas of the turn of the century and the dike become pedestrian which is a pleasant walk along the beach of Saint-Aubin with many restaurants. 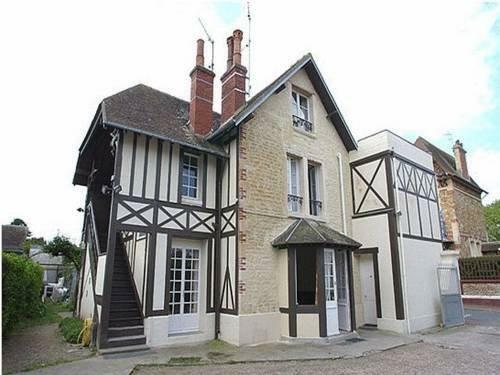 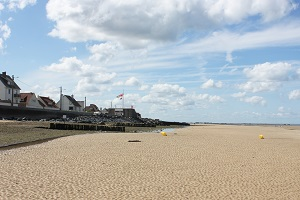 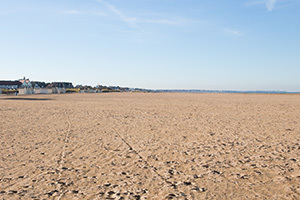 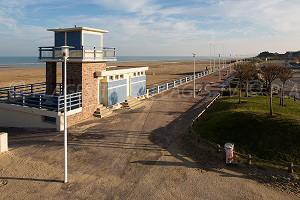 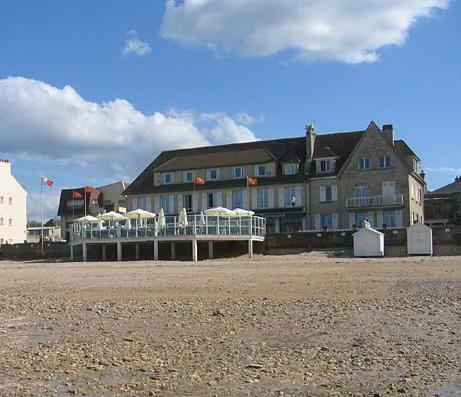 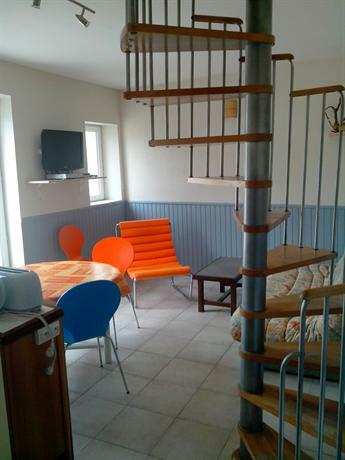 Nearby, there is the charming resort of Ouistreham with its museum of the Atlantic Wall. 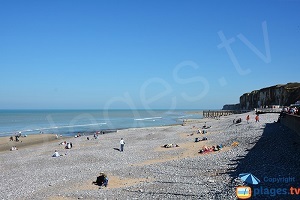 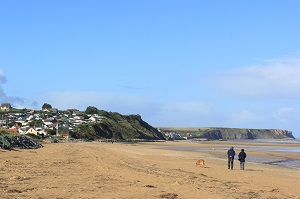 The cabourgeaise beaches on the Côte Fleurie deserve a halt.